Pocket-lint is a culprit to “broken” aux ports and other ports on phones or other devices that are fixed simply by removing it. 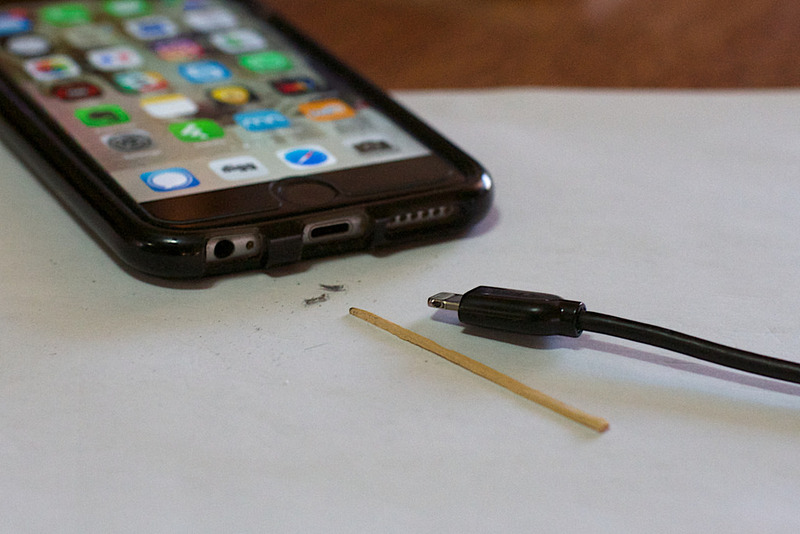 When you store your phone or device in your pocket it is easy for the lint to get wedged up into an opening and then prevent connections when you use a charging cord or headphone cable (which also further wedges the lint into it). Use something small enough to carefully prod and drag out the lint, just be careful that you don’t damage any internal pins or use too much force (it shouldn’t be hard to slide out). For example on a headphone port you could use a regular sewing needle to get into the port and slightly drag the lint against the side of the port as you pull it out to remove. Is it better to just get a phone/device without the port? This comes down to individual preference, there are pros and cons to having features like a port such as if you remove it you need another solution to use headphones like an adapter or Bluetooth.